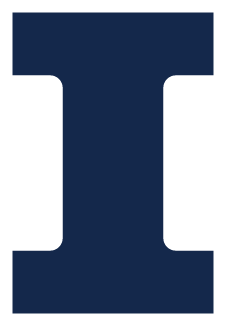 To ensure that the overall appearance and long-term needs of the campus are taken into consideration when making site selections for, or modifications to, physical facilities; to ensure that such modifications meet applicable standards and enhance and support the appearance of the University of Illinois and units on the Urbana-Champaign campus. Any other construction or demolition which changes the visual appearance or sight lines of property assigned to the Urbana-Champaign campus. Any project involving construction, major alterations, or demolition of buildings or grounds must be approved by the Executive Director of Facilities & Services prior to detailed planning and construction. Such approval is required regardless of the source and amount of funding involved. Other approvals by the University Board of Trustees and/or State Board of Higher Education may also be required. Units should submit a formal, written request to Facility Management and Scheduling that includes a general description of the project, a description of the site criteria and/or buildings involved, a project timetable, funding information, available drawings/sketches, and a justification for the project. Reviews will normally involve two steps. Each proposal will be reviewed for concurrence “in principle” – that is, whether the subject of the proposal is appropriate for the suggested facility or location. Facility Management and Scheduling will inform the requester whether or not, and under what conditions, further planning may proceed. Prior to implementation of the project, the requesting unit must seek a second “project approval” through the same channels. Upon completion of all appropriate reviews, the Executive Director of Facilities & Services will inform the submitting unit of the request status and, if approved, will transmit the proposal to the University Office for Capital Programs for submittal to the Board of Trustees (if required). After Board approval has been obtained, the project will be completed according to established University and campus procedures. The procedures described above do not imply that professional service or advice from campus and/or University units should not be sought as a project is being developed. Such technical service is one of the primary functions of these administrative units, and their involvement during the development stage is encouraged. Facility Management and Scheduling, (217) 244-4048.